LSA HS Teachers Selected to Consult and Grade for College Board's AP Program! 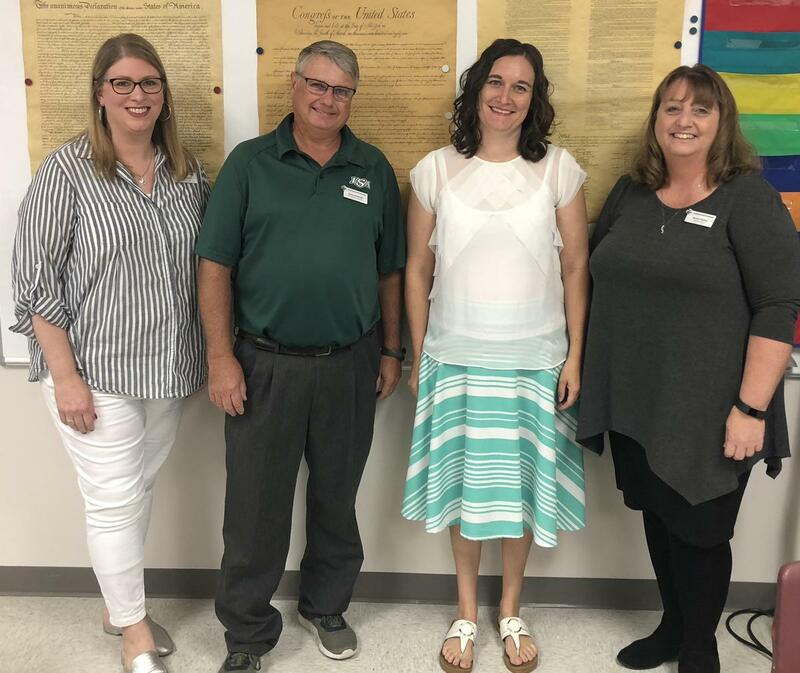 Congratulations to four of our LSA high school teachers who were selected to consult and grade for the College Board’s AP Program! Lutheran South Academy English department Chair and AP English teacher, Mrs. Lori Sweeney, has been selected to be an AP English consultant for the National Math and Science Initiative (NMSI) for the 2018-2019 school year. NMSI works to expand access to challenging coursework and improve student achievement through proven programs that consistently produce measurable and lasting results. They partner with schools and districts nationwide to provide extraordinary training and support for teachers and to give students the resources they need to develop and demonstrate knowledge and skills that will propel them throughout their lives. Mrs. Sweeney will be working with AP English students and teachers across the country who are part of NMSI. She will be focusing on teaching rigorous critical thinking and collaboration skills necessary to thrive in STEM college and career programs. She was awarded this opportunity after being recommended by other NMSI AP teachers. From there, Mrs. Sweeney submitted an online portfolio containing her past AP English score reports, completed several video interviews, and provided teaching samples. Becoming an AP consultant has been a professional goal of Mrs. Sweeney’s for several years now. Earlier in her teaching career, she taught at a NMSI school in HISD. She said that the opportunities it gives her students are phenomenal. She is also grateful that this program recognizes that high level reading and writing skills are imperative to succeed in STEM fields. In addition to Mrs. Sweeney’s accomplishments with the College Board’s AP Program, we also have 3 LSA high school faculty members that were selected and served as AP graders this past summer. Mr. Gary Himmler traveled to Kansas City in early June to take part in the grading of the AP Physics 2 exams. This marked Mr. Himmler’s 4th year as a grader with the College Board. Mr. Himmler said that this experience always provides him with “lots of tips to improve his own AP Physics 2 teaching.” By grading these exams, Mr. Himmler says that he has a much better understanding of what specifics he needs to share with his students to best prepare them and help them to be successful during their course of study. He also stated that he values the network of people that he meets from around the country that he can call at any time. Mrs. Renee Kahre was selected for a 3rd year in a row as an AP World History grader. She traveled to Salt Lake City, Utah where she was able to meet and collaborate with other AP Teachers from all around the world. During meals and in the evenings, “This opportunity allows AP teachers to provide a support for each other throughout the school year as we continue to correspond in a private PLC (professional learning community) group to help with lesson planning, curriculum needs, and develop activities to use in the classroom. I not only have a chance to learn with fellow AP Teachers, but have the ability to meet and speak with College professors as well since they serve as Readers and Question leaders. Being able to attend as a reader allows me to have insight into the level of achievement that my students need to meet the level of writing required to be successful. I am able to see firsthand what is acceptable and what is not since I am trained on the rubrics to a standard set by college professors. I also see the mistakes and how to keep my students from making similar errors in their answering of open ended questions” Mrs. Kahre said. In addition to the AP World History grading, Mrs. Kahre was selected by the College Board to find passages for AP Government that could potentially be used by students in the classroom for stimulus based questions.